Happy Day of The Dead from NAHJ! 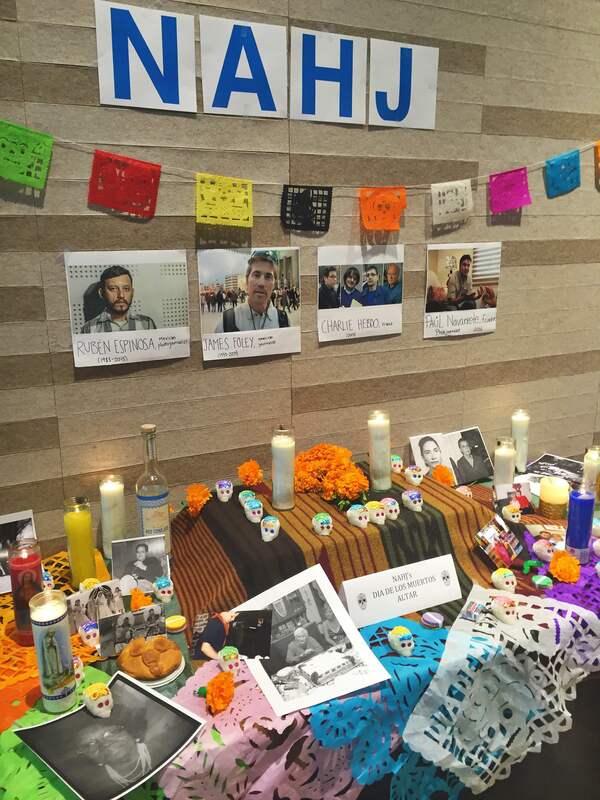 Come check out our altar at the Stabile Student Center and celebrate the lives of your loved ones who have passed by bringing a picture of them or food they liked. This year we are also honoring journalists who have been murdered over the past year, such as Ruben Espinosa and the Charlie Hebdo team.